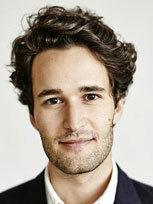 Daniel Susskind is Fellow in Economics at Balliol College, Oxford. He has worked for the British Government - in the Prime Minister’s Strategy Unit, in the Policy Unit in 10 Downing Street and as a Senior Policy Adviser at the Cabinet Office. He was a Kennedy Scholar at Harvard University. Daniel Susskind co-authored The Future of the Professions with Professor Richard Susskind which explains how "increasingly capable systems" - from telepresence to artifical intelligence - will bring fundamental change in the way that the expertise of specialists is made available in society. In an Internet society, they argue, we will neither need nor want doctors, teachers, accountants, architects, the clergy, consultants, lawyers, and many others, to work as they did in the 20th century. 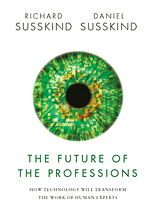 Based on the authors' in-depth research of more than ten professions and illustrated by numerous examples this book assesses and questions the relevance of the professions in the 21st century. Daniel has addressed global audiences at C-Level and strategic management levels both here in the UK, USA, South America and Europe and regularly invited to write and comment in the broadsheets and journals.